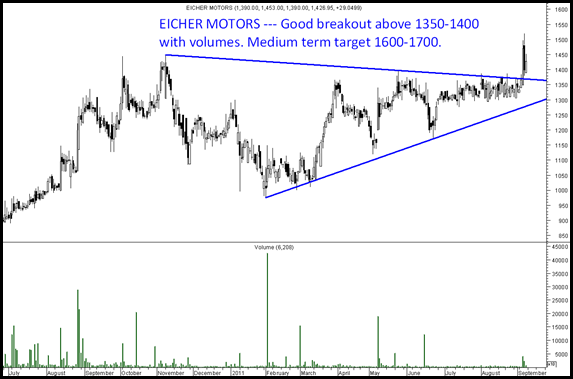 Eicher Motors – Stock has hit 52 week highs in falling markets 🙂 which clearly shows the strength. Accumulate on every dip stoploss 1300 medium term target price 1600-1700. 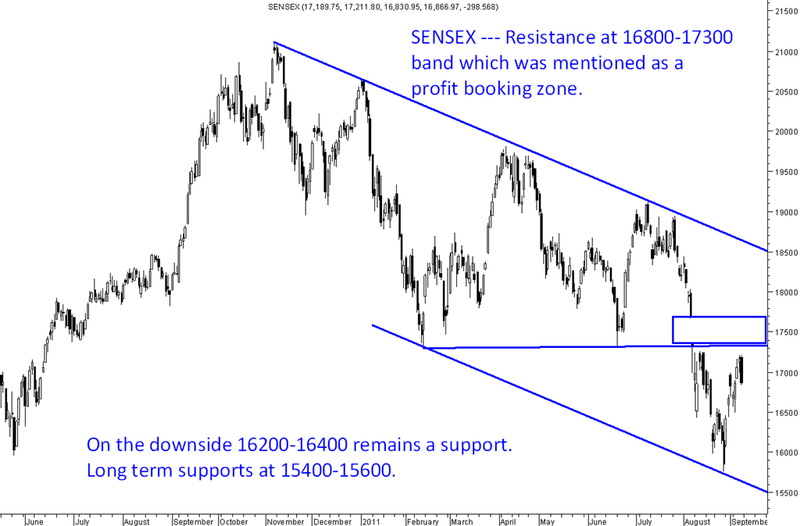 Sensex supports at 16200-16400. Resistance at 16800-17300. 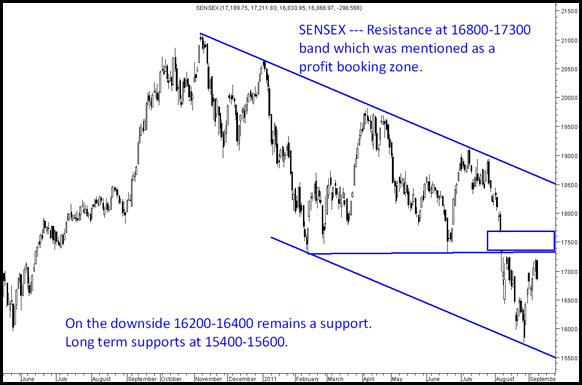 Long term supports at 15400-15600. Just trying to learn your way of reading chart! 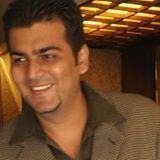 Is there a breakout in Gitanjali gems.? 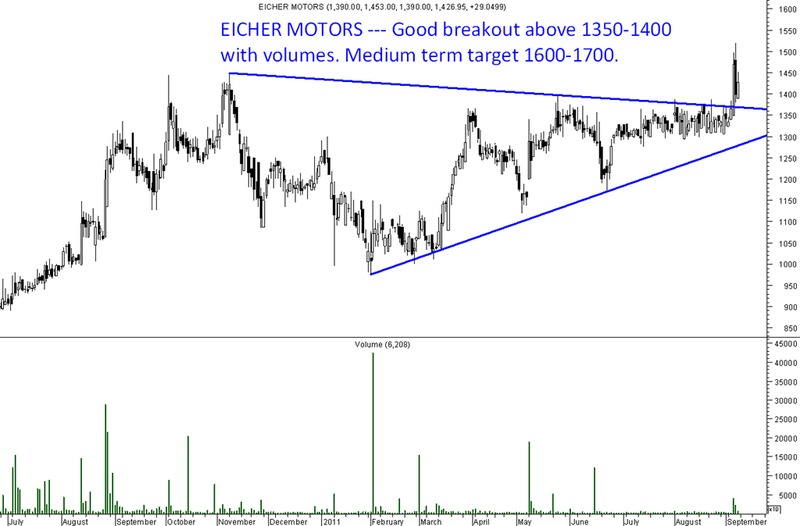 Gitanjali is a breakout on charts but volumes are a bit dicy as well as the stock tends to give lots of false moves.